Think of the compact family cars available back in 1961 – VW Beetle, Renault Dauphine, Citroen 2CV, Fiat Millecento, Morris Minor – many had debuted in the 1950s, late 1940s, or even before the war. And even though they’re interesting to enthusiasts, most of those cars could not lay a claim to being sporty – perhaps the Millecento and the Minor, if any. So the niche for a sporty, inexpensive family sedan with modern styling was wide open, and Triumph was there to fill it with their Italian-designed Herald. 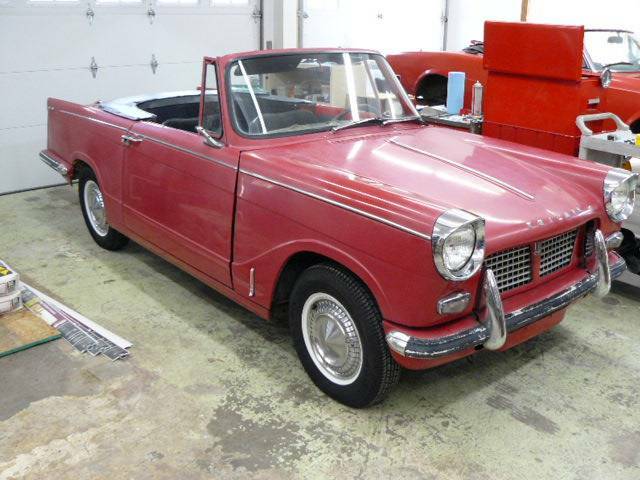 Check out this 1963 Triumph Herald for sale for $3800 in Everson, WA. Everson is right up on the Canadian border, so perhaps this is overflow from the UK Commonwealth relationship. The seller calls the car’s condition “fair”, based on the Hagerty value guide, which equates to #4 condition. This is the ranking for a daily driver with cosmetic issues, or as we’ll call it, character. The price has hovered just over the $4000 mark for the last few years, and while the seller is offering to go $500 below that, you might want to negotiate some more as the car is said to immediate foul its plugs due to failed valve guides. It does look nicely aged, though, with slightly oxidized paint on a straight body with decent trim. There is some minor corrosion on the frame and body, but there might be an opportunity to catch it now with your favorite rust-stop product. This is the first year for the Herald 1200, with 39hp from its 1147cc engine. It is said to have good oil pressure, but due to the aforementioned valve guide issue will need the head off for some attention. While you’re in there, you might as well make sure the seats are hardened for unleaded fuel. 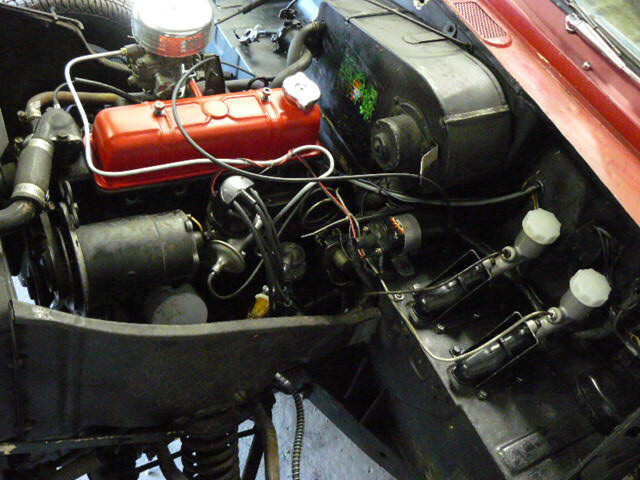 As you can see, the car’s had all new hydraulics in addition to a front disc brake conversion, and the fuel system has been overhauled. This all seems in line with resurrection after a longer period of storage. The air filter looks to be from something American from the 1950s. Velour seats are not original, but in decent shape, and in fact the entire interior looks eminently usable. 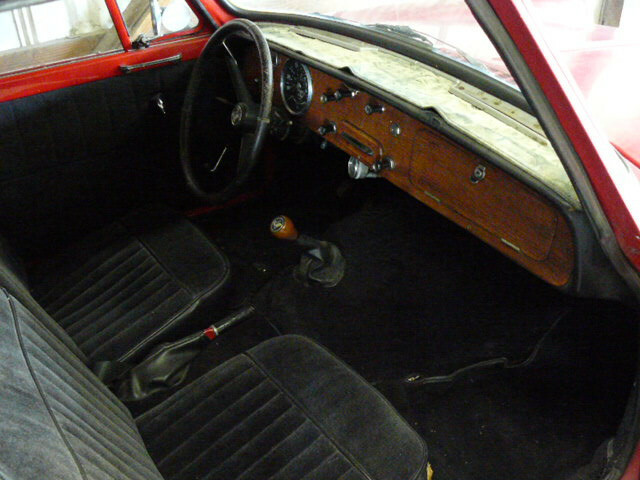 The dash is probably cracking under that mat, while the wood face looks to be in good used condition. The convertible top is not shown – expect to have to replace the rear window if not the whole thing. 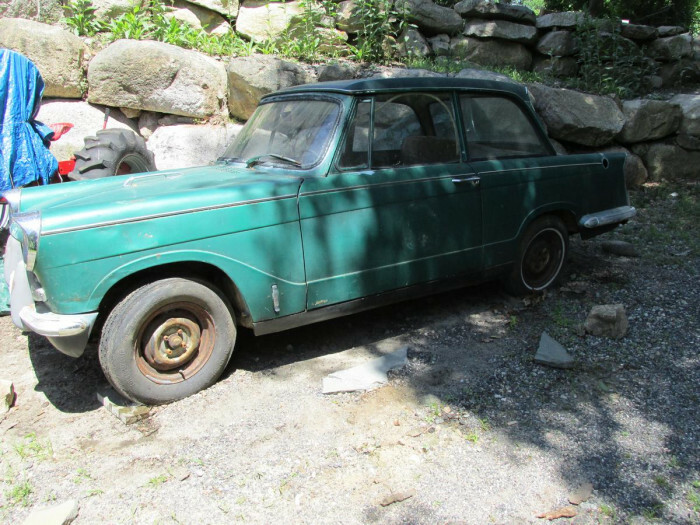 But if you’d rather not deal with a soft top, or the price is too rich for you, look across the country for this 1961 Triumph Herald sedan for sale for $1999 (payable in 3 easy monthly installments!) in Cumberland, RI. Green is a good color for these cars, particularly with the lighter interior. This one’s clearly a bit worse for wear, and judging by the spider webs between it and its parking spot, it’s been there for a while. It’s said to be a solid and complete project car, though showing a little corrosion, and the passenger seat is missing. Being a 1961, it’s likely to have the original 948cc engine, which is apparently prized by collectors. Could you make this one run for less than $1800? This entry was posted on September 26, 2014 at 10:35 am and is filed under Feature. You can follow any responses to this entry through the RSS 2.0 feed. You can leave a response, or trackback from your own site.